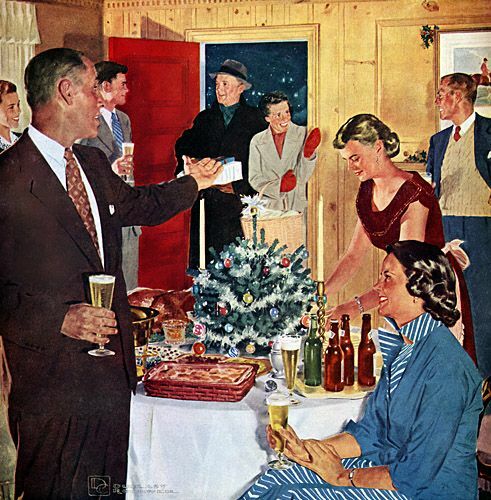 The Holidays are a wonderful time to spend with family and friends. But what if your friends don’t tell you they recently found bedbugs at their house and they just put their coat on your bed? The sharing of yuletide cheer may quickly fade if you are itching your way into the new year. Prevent huge expenses and family feuds by following our bug-free holiday guide. Avoid putting your coat on anyone’s bed at the next house party. Bed bugs travel from material to material and can easily burrow into your winter coat then on to you and your clothes. Even if the hosts don’t have bed bugs on the bed, you never know about other attendees. Most people don’t advertise their bed bug status so play it safe. Find a safe out of the way wood chair to put your coat on or leave it in the car. Skip the movie theater this season. The holidays tend to be the biggest time of year for people to go to the movies and bedbugs to go for a ride. Upholstered seats in the theater can be a haven for bedbugs. Call your theater in advance and ask when they spray for bedbugs to ensure a clean bill of health on your next movie going experience. Don’t use the coat check – We know it’s convenient to use the coat check when at a nice restaurant or even a concert, but no matter how nice the location, keep your coat with you. Bed Bugs don’t discriminate based on wealth and we want you to keep your money. Hang your outer clothes at the front door. Avoid bringing your jackets or outerwear into the bedroom and placing them on the bed. Don’t give bed bugs a free ride to thrive. If by chance, some caught a ride on your clothes, you’ll do well to keep them out of your bedrooms. Bed Bugs are the houseguests nobody wants. They don’t fly or appear out of nowhere, they must be carried into your home on your clothes. When out and be aware that just simply brushing up against someone could lead to a bedbug exchange. If you happen to find one on your clothes or in your bed, call a bedbug exterminator right away. Bedbugs don’t go away on their own, they only get worse. By following this guide you will have a much happier and bug-free holiday.